In 1937 the film Lost Horizon, starring then movie idol Ronald Coleman, made its debut. The story was set in “Shangri-La,” a mythical harmonious land where no one grew old. The opening scene from this classic movie was filmed in the very beautiful Ojai Valley in Santa Barbara County. Nearly ¾ of a century later, the Ojai Valley retains its magic and continues as the location for the creation of many movies and television shows. It persists in luring people to its quiet, clean, beautiful sanctuary, a favorite with artists of all kinds. The five diamond Ojai Valley Inn and Spa, the crowning jewel of the area had its start when philanthropist and founder of Libbey glass, Edward Libbey, so captivated by a visit to the area that he purchased a ranch in 1916…and that was the beginning. Not only did he provide a sanctuary for many celebrities, he also commissioned San Diego Architect Richard Requa to spruce up the downtown and a short time later, added to his property with the building of what would become the magnificent Ojai Country Club in this four seasons Mecca. He further envisioned a first class resort and hired famous architect to the stars, Wallace Neff to design a very special retreat which heralded the beginning of what is today enjoyed at the Ojai Valley Inn & Spa. 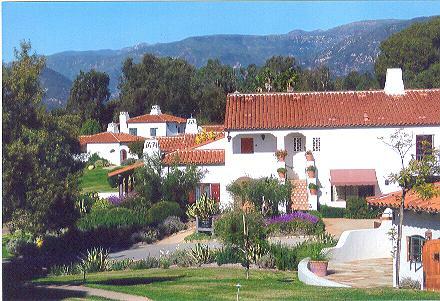 The 220-acre Spanish Revival style complex has the look of an Andalusian village with its sparkling white buildings topped by red tile roofs surrounded by colorful, well-kept gardens. In addition to its beauty and unending amenities, every employee, from the lowest to the highest ranking, most of which have served at the Ojai Valley Inn & Spa for several years, all go out of their way to be helpful and friendly. It is like a family which takes great pride in their home and extends genuine hospitality to their guests. The inn continually updates and implements new techniques and technologies to stay at the forefront of environmental stewardship…a resort with a conscience. Fourteen pages in the Ojai Valley Spa’s booklet lists services offered both as a day spa and to hotel guests. In addition to their two swimming pools, not including the other two not situated in the spa complex, services include a variety of massages and facials, special body treatment, mind and body programs, salon services and special programs for the youngsters and wedding parties. At the unique Artist’s Cottage and Apothecary guests may learn basic drawing, painting, silk scarf painting, and custom blending in the apothecary to create their own unique fragrance. Ojai Valley Inn guest room. not want to venture out. That would be a mistake. Horseback riding, swimming, hiking trails, tennis and of course a superb golf course are just steps away. The resort also offers a variety of restaurants from the most casual to the super deluxe all utilizing the freshest of ingredients grown in the agricultural community of Ojai. Another outstanding element of the Ojai Valley Inn & Spa is that it offers different experiences for different needs without crossing over one another. It features the most romantic place for a getaway or honeymoon as well as a wedding. It also provides those who enjoy being on the move with non-stop activities. If pampering is one’s desire, guests may head for the spa. Families relax at the beautiful swimming pool especially for guests with young ‘uns and teen programs ensure everyone’s needs will be met. 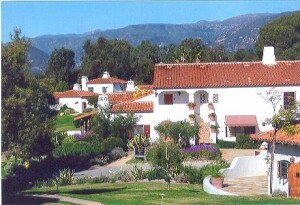 The Ojai Valley Inn & Spa provides a first class escape with a friendly face in the most beautiful setting imaginable.